Trusted professionals with years of experience. 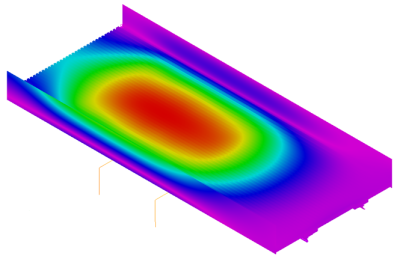 Finite Element Analysis (FEA) is performed with state of the art software. Using FEA we can accurately predict real world forces, vibrations, heat transfer, fluid flow, and more. ​Our team of expert engineers have years of experience. They can break down an object, system, problem, or issue to its most basic level. By finding these essential features and their relationship to external elements, a detailed analysis is created with tremendous accuracy. ​Our engineers are frequently found on the production floor, getting hands on with the projects. This gives our engineering department a unique advantage in knowing how composite materials are manufactured, as well as how composite materials perform in the real world.